Are you passionate about good design? Do you believe that images have the power to communicate complex concepts in a simple way? If so, this may be the perfect opportunity for you. Controlco is seeking a full-time graphic designer to work within the DGLux data and building automation visualization system to create clean, accurate and compelling designs for building automation clients. 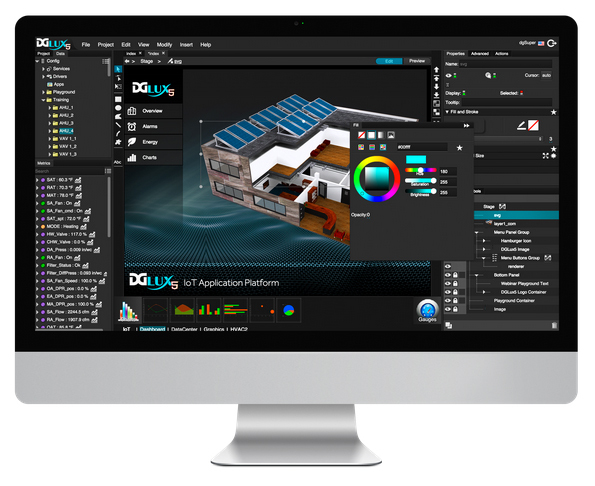 The person in this position will create compelling visuals within the DGLux graphics program to illustrate the complexity of building automation systems for end users. The graphic designer for building automation systems will be Controlco’s go-to person for everything from floor plans to operational diagrams. The successful candidate will have a passion for clean design and a willingness to work as part of the team to get the job done. Controlco is an Equal Opportunity Employer. The successful candidate will receive a highly competitive salary depending on qualifications. The overall benefits package includes medical, vision, and dental insurance along with a 401k with company contributions. Paid vacations are offered as well. Email resume to Bridget Davies at bridget@controlco.comfor prompt and confidential consideration.